Written Birth Plan/Preferences. It is helpful for all involved to have a reminder handy of what your preferences are. A Mother-Led birth helps result in a satisfying birth. Clothing to maximize freedom of movement in labor in and out of a birthing room (light shift, sweater or robe and slippers or warm socks): anything to replace or cover a typical hospital gown. Focal Point: Many women practice relaxation using both internal and external focal points. Use one you can take with you. Favorite music or relaxation narrative on a portable device: Several compilations from smooth, relaxation, to motivating, movement music may be chosen during different times in labor for calmingly ‘Zoning out’ or rocking and dancing to encourage baby’s descent. Lollipop: Especially sour candy on a stick promotes salivation to keep mouth moist and deliver sugar for energy. The stick allows taking out to breathe. Breath spray or mouthwash: If support partners are breathing closely with birthing mom…. Juice: as small can of sweet juice or energy drink to add to ice chips. Washcloth for cooling moisture. Colored so it can be distinguished from facility’s white ones. Distractions: Cards, portable game for prolonged labor and distraction. Mood lighting if birthing room has limited light control. Birth Ball if not provided at facility. Hair accessories to pull hair from face. Labor log to record timing of uterine waves and other sign posts of labor (don’t forget a pencil/pen). Timing Device to track progress through and length of uterine waves- stop watch, watch with a second hand etc. Reminding a laboring woman of her progress through each uterine wave builds confidence and resolve, one wave at a time. Labor positions on a list or a set of cards of each position to post around the labor room. It is essential that labor support partners promote movement and changes in positioning throughout labor. Support partners’ notes for reference. 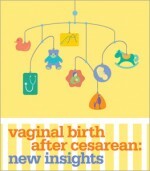 Childbirth educators usually provide summaries of labor signs and suggested appropriate coping techniques. Written narratives for relaxation and mediation will ease labor. No one is expected to remember it all! Support partners’ snacks: a well-nourished, comfortable support partner will be your best advocate. Support partners’ trunks or bathing suit for joining you in the shower or tub. Key phone numbers: birthing facility, doctor, support persons & family. Last minute additions? Wallet & insurance documents, Glasses and Contacts or cases for either, Camera & phone. Conscious breathing has always been the basis for dealing with labor pain. There are a number of different birthing strategies that are taught now, and they all base their techniques on breathing, whether it is for relaxation, concentration, distraction, meditation or hypnotic effect. Holding one’s breath is a typical reaction to pain, anticipated pain and sometimes stress. Rhythmic breath promotes concentration, relaxation and promotes pain relief. However, during the process of birth’s variations and challenges, these benefits of breathing are best utilized if the breathing is well understood and comes easily to you and your support people. Without the ability to just move into a practiced behavior, you can become confused, ineffective at pain relief and possibly more stressed. Women who practice a variety of breathing techniques and patterns to a level of high comfort and conditioning will benefit best from any breathing. What breathing looks like and how many different types of breath are used is far less important than you having a repertoire of practiced, breath-related coping skills to draw upon during birth. The best Lamaze class includes the exposure and in-class practice of a number of different styles of breathing. These types of breathing should include deep, slow and shallow, fast styles. The uses and benefits should be explored and at-home trial and practice insisted upon. In order to utilize these technique under the stress of labor, you need to condition yourself through practice, so you can comfortably move from one to another if needed through the course of birth. So many childbirth classes of today overshadow the calming skills, including breathing, with discussion of medical procedures and complications of birth. No time is left for the real teaching and practice of coping techniques. A quality Lamaze class will teach and support practice of progressive breathing styles during a series of at least 5 sessions. You and your support person will learn, try out at home and return to class to reinforce all styles so as to select those to continue to practice for your own labor. With this level of emphasis, hopefully you will commit to practice, knowing it will make a better birth outcome. I have gained my own selection of breathing styles to teach, through the practice and study of many different disciplines. I utilize breath techniques from my training from Lamaze, hypnosis, yoga, meditation/relaxation and more . Breathing does not stand alone as a labor coping skill. It is, however, the basis of and promotes the benefits of all others. If you have the opportunity to explore breathing for labor, you should adopt a variety and practice them until you can execute them comfortably without much concentration. They will serve you well in labor.